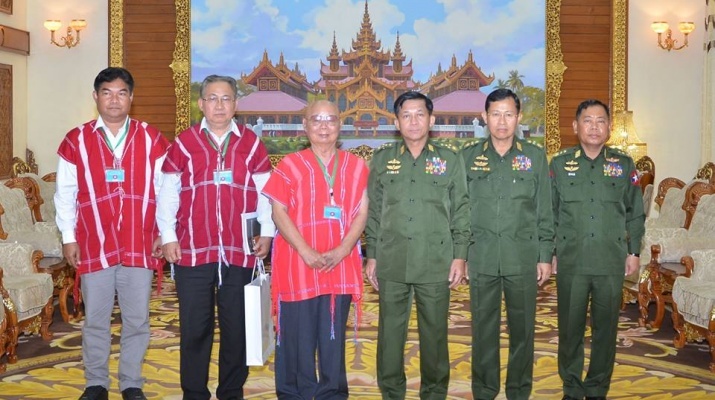 Commander-in-Chief of Defence Services Senior General Min Aung Hlaing held a meeting with Chairman of Karen National Union (KNU) Saw Mutu Sae Poe at the Parlour of Bayintnaung Villa, here, this morning. 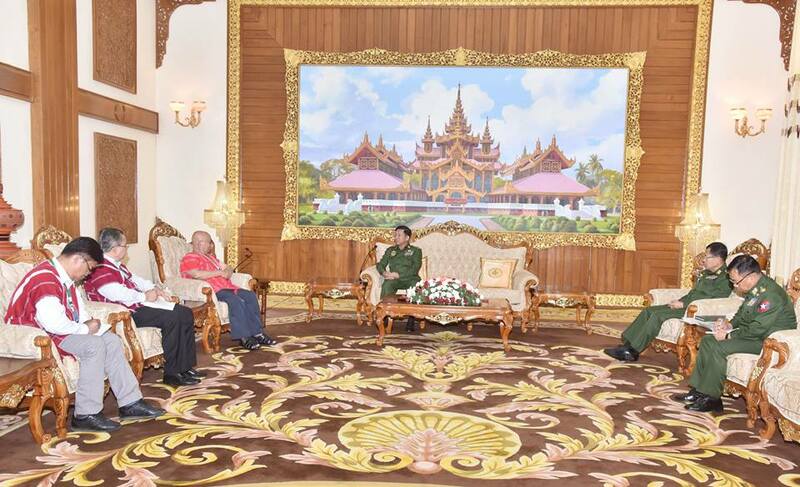 Also present at the call together with the Senior General were Deputy Commander-in-Chief of Defence Services Commander-in-Chief (Army) Vice-Senior General Soe Win and Lt-Gen Soe Htut. The Chairman of Karen National Union (KNU) was accompanied by Vice Chairman Phado Saw Kwe Htoo Win. 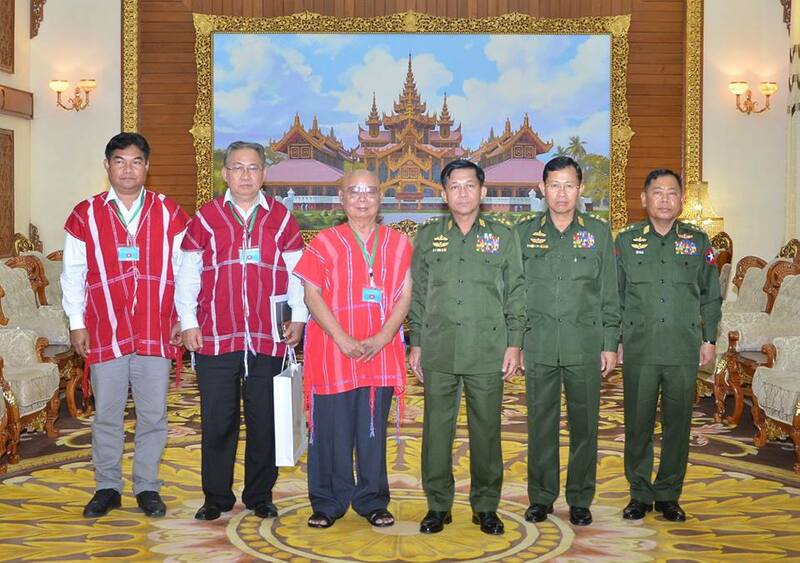 At the meeting, the Senior General said the Tatmadaw is striving for restoring eternal peace but ephemeral peace. 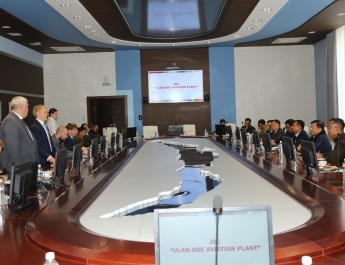 The Senior General stressed the need to hold meetings with mutual trust, understanding and sincerity to overcome difficulties facing in peace making processes. 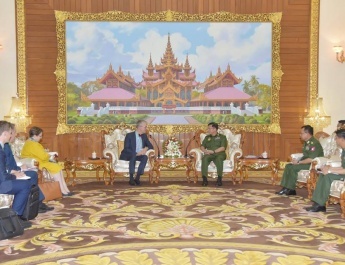 Then, they exchanged views on situation to beef up the peace processes, conditions to end armed confl icts and prospects for future tasks of ensuring eternal peace. 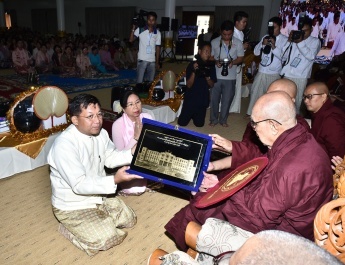 After the meeting, Senior General Min Aung Hlaing and Karen National Union (KNU) Chairman Saw Mutu Sae Poe posed for documentary photo together with those present, and the Senior General presented commemorative gifts to the Karen National Union (KNU) Chairman and party.